This blog article might get me fired! 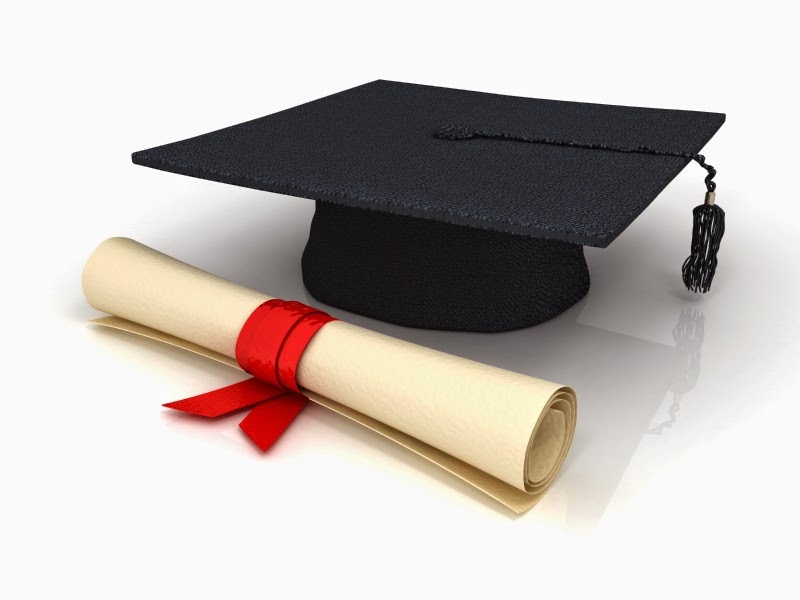 In my position as the director of a graduate program in instructional design (OK there’s my full disclosure), I often get the question “Will this degree get me a job?” My answer is no. That response may be heresy for a college professor. In reality, I am not sure that ANY degree guarantees you a job these days. If people truly think that a degree alone will get them a job, then they are wasting their time and their money. Employers look at a number of things besides your education. That may include your work experience, your skills and competencies (as documented by a professional portfolio), how well you work in groups, how you solve problems, your creativity and much more. You should never overlook the importance of career tools and such as your resume, your references, your relationships within the professional community, how well they interview, etc. They too play a part in getting a job. My academic colleagues may not like this, but everyone doesn’t need a college degree. This might give them similar benefits that may compare to the content of a college degree. Are there exceptions to this? Of course there are! The truth is that most people don’t have the self-discipline to do this. The older you get, your degree becomes less critical in getting a job. As you gain experience, employers look more at your accomplishments and your body of professional work, far more than your degrees. There are some employers who use the degree as a screening tool to eliminate candidates from a large pile of applicants. However, in some workplace environments degrees are very important (higher education), while in others they are not (e.g. sales). It is very possible that you may not need a degree at all. There are a number of people in our field (instructional design & eLearning) who are very accomplished and don’t have a degree. The difference is they have accomplishments and a body of work that showcases their skills. As with many questions in life, the answer to this question often is “it depends”. Before you spend a lot of time and money on a degree, think about what you will put into it (time and money) compared to what you will get out of it (raise, new job, skills). 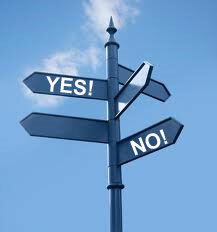 In the end, you are in charge of your own career, so weigh the pros and cons carefully. Speaking of careers, I wonder if I still have a job? Research had shown that graphics, be it line drawings, charts, and photographs and motion graphics such as animation and video, can improve learning when effectively used in an e-learning environment. What is Effective Use of Graphics? In this case, an effective use of graphics refer to those that are related to the material presented. Dr. Ruth Clark presented the findings of research conducted by Richard Mayer and his colleagues at the University of California at Santa Barbara in her article Six Principles of Effective E-Learning – What Works and Why published by Learning Solutions Magazine. Read more about this multimedia principle of adding graphics to words to improve learning, as well as about the five other principles presented: contiguity principle, modality principle, redundancy principle, coherence principle, and personalization principle. Share your experiences with the use of graphics in e-learning in the comment section below. Unlearning is just as important, and some would argue, even more important, than learning. Unlearning happens when one comes face-to-face with a new idea, concept or thought that contradicts what has been learned previously. The world is constantly moving, changing, and shifting. If we don’t acknowledge this, we threaten our very survival, be it professionally or personally, in this ever-changing landscape. New ideas have always been a catalyst to growth and development, be it in a classroom, in a business setting, or in a relationship. These new ideas are constantly replacing old ones. What we spent years learning, may no longer be applicable today or in the future. How does one not drown in the sea of knowledge when it is constantly being saturated by newer concepts that replace old ones? The answer is quite simple. We need to learn to unlearn. What Does it Mean to Unlearn? Our minds are being filled with a constant flow of information. If we don’t stop and empty some of it out, we won’t have room for anything new to enter. To stay fresh, vital and on top of the game, we need to make room for new knowledge because the world is ever changing. As ISD professionals, it’s critical that we understand the need for unlearning because technology is always changing, and what served us once, may not serve us today or tomorrow. 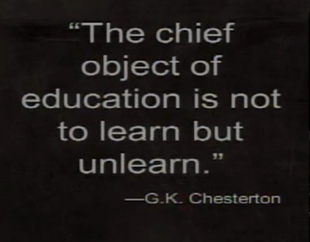 Have you had to unlearn something recently? Are you prepared for when that opportunity comes into your path, offering a chance at a fantastic project that could elevate you to the next level in your ISD career? If a potential client came calling tomorrow, would you have your best work ready to showcase? If not, read on. What to Present in a Portfolio? Here’s the caveat, though: you must honor the privacy of your clients. Before adding their projects into your portfolio, seek the written permission of their legal department. If you can’t obtain their permission, consider creating projects on your own to add to your portfolio. What is the Best Portfolio Format? Online and Paper versions both have advantages. Online allows for easy sharing, easy access, and easy correction in a cost effective manner. Paper-based portfolios have tangible, sensory value and are great for face-to-face interviews. Place projects in chronological order. Use the ADDIE Model to organize projects. Organize projects according to the ASTD Competency Model. Regardless of which organizational method you use to showcase your portfolio, the most important thing to keep in mind is to make it clean and clear of errors, and present only your best work. Seeking the advice and objectivity of someone unbiased can prove extremely helpful, as well. Encourage critical feedback from this person. 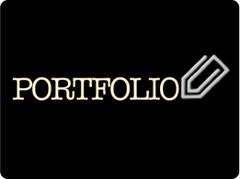 Think of a portfolio as a snapshot of your skills. It’s your chance to get in front of a prospective client and wow them with your ability. Place yourself in the shoes of the prospective client. What do they want to see? What would win over their confidence? What skill sets are critical to their project? Be sure your portfolio addresses these questions. One sample of High Level Design. One Storyboard if you design for eLearning. Content areas samples that showcase your expertise. Evaluations you’ve created and their related feedback. At UMBC, students admitted to the Master’s degree in Instructional Systems Development – Training Systems, are required to complete a professional portfolio. This requirement replaced the current comprehensive exam requirement in 2012. UMBC offers students a course called Portfolio Development & Talent Management. Did we miss something critical that you’ve included in your portfolio? Please share in the comments below. As Instructional Designers, it’s important to present information in a way that effectively communicates an idea, while at the same time eliciting behavior that creates momentum in applying it. Can physically experiencing something cause us to act in a different way had we not experienced it? If you simply read about what it felt like to be in a car accident at high velocity speeds, would that be a strong enough deterrent for you to stop speeding? What about if you actually felt the physical pain of being in that kind of car accident? Would you be less likely to press your foot harder against that gas pedal? According to one study conducted at the Virtual Human Interaction Lab at Stanford, yes you might be. The Virtual Human Interaction Lab at Stanford conducted an interesting study on human behavior, and the effect a visceral experience has on our actions. Julie Dirksen summed up the study and its findings in an article she wrote for Learning Solutions Magazine titled, Research for Practitioners: When It’s Not a Knowledge Problem. The study looked at the result of learning about the negative impact on deforestation of using non-recycled paper goods. It examined two groups, one experiencing the physical feelings of cutting down trees in a virtual lab setting, and the other read a vivid account of the physical act of cutting down trees. The findings were that visceral experiences did change behavior. Dirksen admitted up front that we should be careful in making generalizations based on this one study, but it is nonetheless still interesting to see how experiencing something physically may impact our actions. Attitude is not necessarily a predictor of behavior. Active, visceral experiences may influence behavior change. This study on human behavior can be an important one for instructional designers to examine because it may help fill your instructional design toolbox with more effective approaches to generating the kind of action you want your students to take. Tell us your thoughts on this study on human behavior in the comment box below. UMBC’s ISD Now Webinar Series is holding its next webinar on Wednesday, February 26, 2014 from 2:00 to 3:00 p.m. EST. 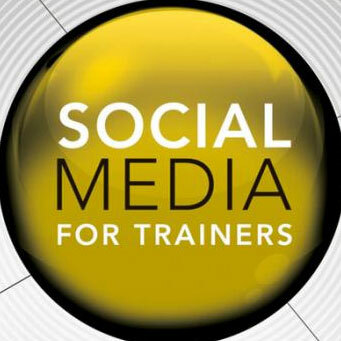 Guest speaker, Dr. Jane Bozarth, eLearning Coordinator for the State of North Carolina will discuss Social Media for Trainers. Join us as Dr. Jane Bozarth helps us explore the use of free technologies like blogs, wikis, Facebook, Twitter, and online groups to help build communication, increase participation, and enhance transfer of training to the job. We’ll both define and demystify each tool. You will get ideas for applying low-cost collaboration strategies to your own training programs—both classroom and online! Dr. Jane Bozarth is the eLearning Coordinator for the State of North Carolina. She is the author of several books including Social Media for Trainers, Better than Bullet Points, the upcoming Show Your Work, and more. She also writes the monthly “Nuts & Bolts” column for Learning Solutions Magazine. She is a popular webinar and conference speaker. Dr. Bozarth and her husband live in Durham, NC. This UMBC ISD Now webinar is free and open to the public. If interested in attending, please RSVP online. On October 23, the UMBC ISD program was lucky enough to have Dr. Chuck Hodell present at the ISD Now Forum. Dr. Hodell’s interactive presentation focused on SMEs From the Ground Up. Dr. Hodell provided practical information on how to identify different types of SMEs, how to determine SME selection criteria specific to one’s needs, and how to create a list of things one can do to support SMEs in the design process. 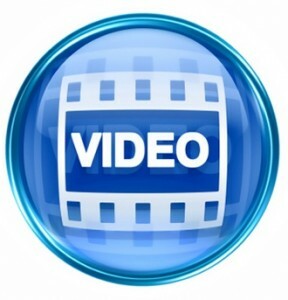 Enjoy this presentation by Dr. Hodell on SMEs From the Ground Up, in the video below. Let us know what you think about Dr. Hodell’s presentation. It’s that time of the year again when we get together face-to-face for our interactive ISD Now Forum. This is a free event and open to the public. We hope you’ll be able to join us as we welcome Dr. Chuck Hodell to present on Subject Matter Experts (SMEs) From the Ground Up. Subject matter experts are often the forgotten members of the ISD team. While just as important as any other element of our work, SMEs typically don’t get the attention they deserve as key members of the design team. Join us and learn how to choose, nurture and evaluate SMEs From the Ground Up.